PHILADELPHIA, PA – February 15, 2018– Janney Montgomery Scott LLC (“Janney”), a leading full-service wealth management, financial services, and investment banking firm headquartered in Philadelphia, PA, announced the hiring of Andrew F. Aubrey, First Vice President/Wealth Management, to the Firm’s West Hartford, CT branch office. 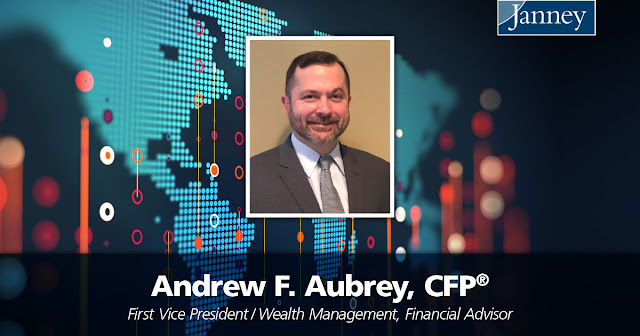 Aubrey was previously affiliated with Merrill Lynch. Aubrey, a 20-year industry veteran, is a Certified Financial Planner™. A native of Farmers Branch, Texas, he graduated from Texas Tech University with a B.A. in International Economics. Janney’s West Hartford, CT branch office is located at 15 N. Main Street, Suite 102 West Hartford, CT 06107.